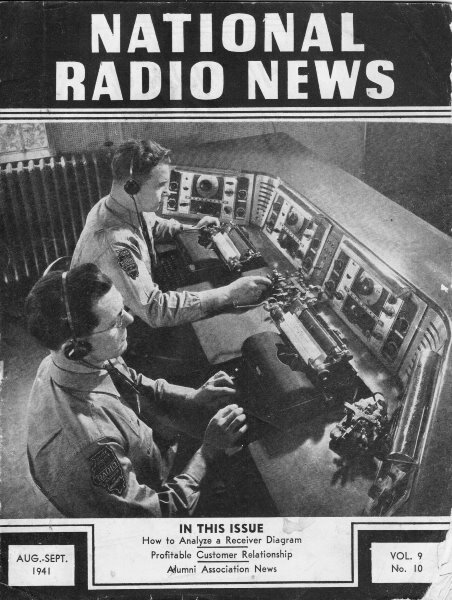 The photo on the cover of this issue of the News shows E. Swaringen, senior operator, and C. L. Hopper, supervisor, at the zone and interzone telegraph console in the Springfield station of the Illinois State police radio system. During the past three years of operation the apprehension of criminals has rocketed to record-breaking highs. Since the adoption of radio telephony, the percentage of stolen cars recovered has, for example, jumped from a scant 13% to a new high of 83%. Photograph through courtesy of Western Electric Co.